"Her speeches attack Prime Minister Narendra Modi but her strategy is aimed to defocus some of her other colleagues in the Opposition and hogging the centre stage," Jaitley stated. 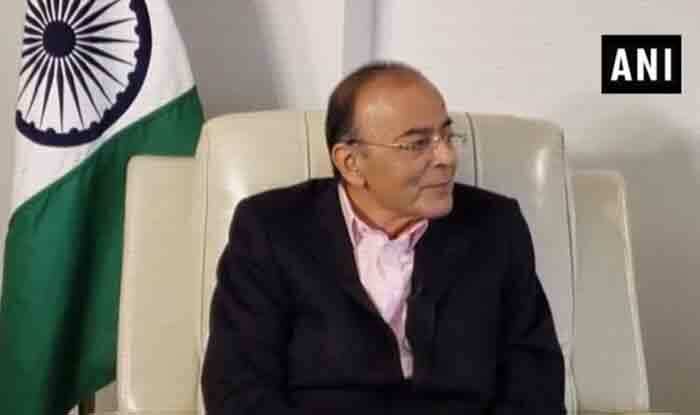 New Delhi: Union Minister Arun jaitley launched a scathing attack on West Bengal Chief Minister Mamata Banerjee who has been sitting on a ‘dharna‘ since Sunday evening. In a blog post titled ‘The Kleptocrat’s Club’, Jaitley claimed that Banerjee’s protest was aimed to ‘defocus from other Opposition aspirants for the highest office and to project herself as the nucleus of India’s opposition’. “Her speeches attack Prime Minister Narendra Modi but her strategy is aimed to defocus some of her other colleagues in the Opposition and hogging the centre stage,” Jaitley stated. Taking dig at Opposition for extending support to Banerjee, the Union minister said that the most parties supporting her were investigated, prosecuted and in some cases have been convicted for crimes of corruption. “Her ally from Bihar represents the party of the convicted. The friend from Andhra Pradesh runs a party of contractors, thekhedaars and money-launderers. Her two friends from Uttar Pradesh represent the scandalous legacy of corruption. Her anarchic brother from the Delhi government is at his wits end because the penny stock companies of his ministerial colleagues have been found out,” Jaitley added.